"There are millions of athletes that clinch and grind their teeth while they exercise", says dentist Vesna Delic, "the side effects can be damaging to an individuals oral health." ALBUQUERQUE, NM, December 10, 2017 /24-7PressRelease/ -- There is now a better way to do what you love. Damage Control Mouthguards finds it is most successful when they find innovative oral solutions, and share it with others. When they do this they know they make difference in the lives of their customers. Damage Control Mouthguards has recently released a new oral protective product called Vertical Force Protection. "There are millions of athletes that clinch and grind their teeth while they exercise," says dentist Vesna Delic, "the side effects can be damaging to an individuals oral health." Dental issues that can arise from grinding your teeth while your exercise are numerous, like chiseled down teeth, gum recession, periodontal disease, chipped teeth, tooth misalignment, and damage done to previous dental work. Clenching and grinding while you exercise can also cause headaches, tooth sensitivity, neck, jaw and TMJ pain. Most people grind their teeth unconsciously, and clenching is a natural reflex when you exert your body during physical exercise. "Our Vertical Force Protection device is not a mouth guard," says founder Delano Romero, "unlike a mouth guard this device is invisible, low profile, and has minimal interference with breathing, talking and hydrating." Damage Control Mouthguards has introduced this new device to their line of products this month. Damage Control Mouthguards sells their VFP devices through their network of dentists, or they can be purchased directly from the company's website. "It's a pretty easy process," says Romero, "you purchase the VFP device from our online store, we send you a self impression kit system, you send your self impression back to us, we pay for the shipping, and then we will have your VFP fabricated and returned to you in a matter of days." Damage Control will also digitally scan your impression, so you will not have to worry about taking another impression. "We now do digital scanning and 3D printing," says Romero, "so once you send us back your impression of your teeth we will scan it and keep your teeth records on file for future orders." Vertical Force Protection is for men and women who do active lifestyle sports like biking, running, weight lifting, skiing, snowboarding etc. Also this device can be used by people who grind and clench their teeth when they sleep at night. "We now offer oral protective solutions to a new category of athletes and exercise enthusiasts," says Romero, "before we released the VFP device, the only thing we had to offer were mouth guards, which were too much coverage for the type of protection needed by these types of athletes. The VFP is designed to cover only the essential areas needed for people who clench and grind while they exercise" These VFP devices are currently sold for $125 for VFP-3mm, and $145 for VFP-4mm, or both can be purchased in a duo set for $195. 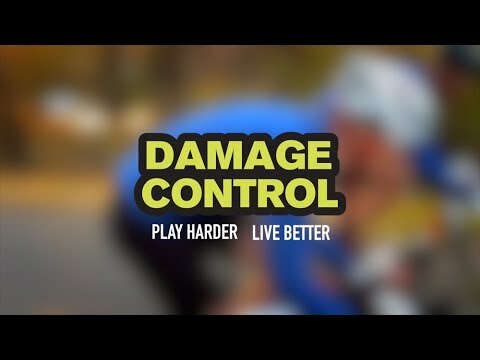 Damage Control strives to be the leader in oral protective technologies by offering innovative solutions to help athletes across the world to play harder and live better lives.